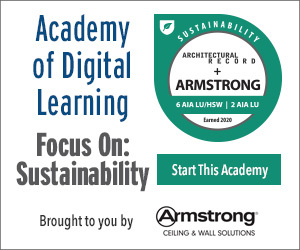 Discuss the advantages of using manufactured stone versus natural stone in buildings that reduce their impact on the environment. Specify details and building sections that prevent water damage at building transitions. Describe the difference between a rainscreen and a weep screed, and the principles of drainage planes. Review building safety codes, height restrictions, and mortar selections that lead to aesthetically and economically successful projects using manufactured stone. When the phone rings, the call from the client to the architect for a new building often begins with a list of contradictory requirements. The client wants to own a building that conveys quality, permanence, and strength. This particular client likes the look of natural stone, but the architect knows that it does not meet the company’s ROI and is not in its budget. Natural stone is mined and sourced from specific quarries and has unique markings. However, this client needs a stone that can be reproducible for the 80 or more stores they plan to brand and build across the country. In addition, the client wants a building that meets green standards, one that is energy efficient, uses recycled materials, is economic to build, and easy to maintain. Given this list of criteria, some designers are choosing high-quality manufactured stone veneer as a successful alternative to natural stone. They are specifying manufactured stone veneer whether the design is rustic, traditional, contemporary, or modern. 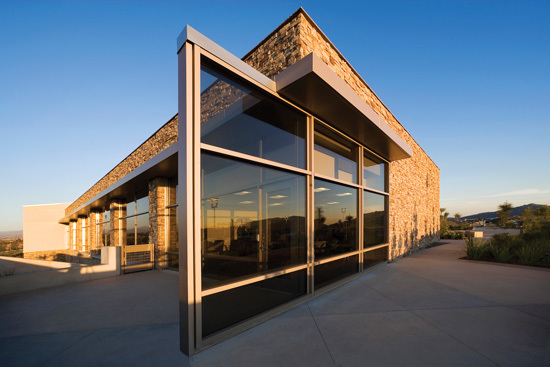 The application of manufactured stone provides a sleek, modern exterior for the Temecula Library in Temecula, California. Twenty-first century manufactured stone can mimic the permanence and beauty of natural stone while providing economic and green design benefits. With careful attention to details, the illusion of natural stone can be maintained using this handcrafted and hand-placed material. By understanding successful building transitions, quality moisture protection and construction specifications, design professionals can successfully meet client expectations for quality buildings with a natural finish. VibraLife is an all-new, 48-bed, state-of-the-art facility designed by Crabtree, Rohrbaugh & Associates that incorporated manufactured stone veneer as an exterior as well as an interior finish. For many years, this product has been used primarily to replicate rustic or historic designs. A recent trend includes the use of manufactured stone in contemporary buildings. Modernists are choosing monochromatic stone finishes in palettes of primarily grey, white, cream, and black. They are choosing stones that replicate split-face and saw-cut limestone and ledgestone, tightly stacked with minimal or no grout lines to create a sleek, modern appearance. Manufactured stones are molded into individual stone units and installed using traditional masonry construction. They can be specified with recycled content to meet green standards. They are available locally and provide the aesthetics of permanence and nature that is found by using natural stone with the benefit of one-half the weight of natural stone. This material allows you to “lightweight” the building structure, cutting transportation and labor costs. Using manufactured stone as an alternative to natural stone can provide great benefits. However, in order to successfully provide the illusion of natural stone, careful attention to details and the construction process is necessary. Whether manufactured stone is used on the interior or exterior of a building, this product can create the appearance and the dimension of natural stone with the advantages of several economic and environmental benefits. VibraLife is an all-new, 48-bed, state-of-the-art facility designed by Crabtree, Rohrbaugh & Associates. Located in Mechanicsburg, Pennsylvania, this firm has focused on providing a client-oriented approach to architecture for more than 30 years. 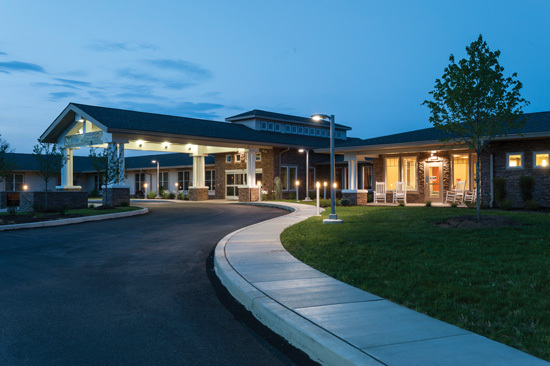 The Vibra Rehabilitation Center and Senior Living Community provides rehabilitation and personal care accommodations. It is designed to address comprehensive care and living needs. The facility provides assistance with its residents’ activities of daily living, rehabilitation, and healthcare supervision. VibraLife includes a secure, 10-bed Memory Care Unit. The design of the VibraLife facility reflects some of the latest research in health care that encourages an approach that exposes patients to nature. Evidence-based research encourages designers to use natural materials in health-care settings. The incorporation of natural light and the introduction of a variety of natural materials can promote healing. Wayfinding, particularly where there are memory challenges, can be enhanced with the incorporation of texture, color, and multiple finishes. Manufactured stone was chosen for a finish material both on the exterior and the interior to add value and character to this project. 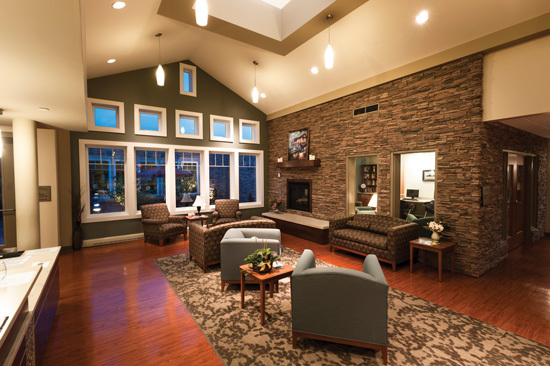 The stone creates a natural setting that is calming for the patient and residents along with their families. This approach is developed on the exterior of the building and then transitioned to the interior; integrating the key living and common spaces with the exterior environment. The manufactured stone selected became the generator for the rest of the interior and exterior finish palette. The warm earth tones of the stone are reflected in the flooring, paint, and furniture selected for the project. The result is a homogeneous design that has a hospitality experience rather than a health-care feel. Using manufactured stone, the architects created a place that is durable, economic, and comfortable. The living area of the VibraLife facility demonstrates that the use of natural materials can provide an elegant and welcoming center in a health care setting.